In the past years, Forex trading has become a very profitable business, and it is likely to keep developing in the future. For example, more and more young people in South Africa managed to maximize their earnings in this way, even if they didn’t come from wealthy families. That being said, some even managed to become filthy rich. So, keep on reading to discover who are the richest currency traders based in South Africa. A word of caution: many of these men are very controversial and have been accused. millionaire and also the author of Cashflow Naked. His book is not only a biography but also a lesson of financial education. At the same time, it’s worth noting that Ngcobo comes from a disadvantaged background, which is a testimony that anyone can succeed as long as he/she is determined and ambitious. 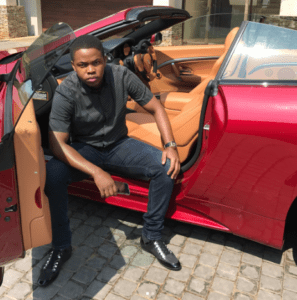 Sandile Shezi is another renowned Forex trader and is also one of the youngest millionaires in South Africa. He has established the Global Forex Institute, a successful company that caters for the lower income bracket. A word of caution: It is good to mention here that GFI Global Forex Institute has been under close scrutiny during 2015 according to News24.com. Interestingly enough, he began Forex trading when he was only 12 years old. He used the money he made in order to trade Forex when he was still in school. That’s why Global Forex Institute offers free training to young people. This is his way of giving back to the community, aiming at helping others attain financial freedom. 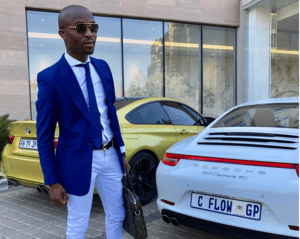 However, Sandile Shezi didn’t take any Forex training courses, so it’s possible to become a millionaire even if you don’t have any financial education. school. In fact, he actually dropped out of high school in 2011. After a couple of weeks, he started trading, and by the age of 19, he successfully made his first million. Since he had a rough childhood, he established the Ref Wayne Foundation in order to help other unprivileged children. He is also the author of a book entitled The Art of Trading, which includes both theoretic and actionable steps regarding technical Forex trading strategies. 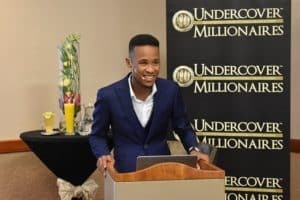 Louis Tshakoane is another young millionaire based in South Africa, being the founder and president of Undercover Millionaire’s Currency. His goal was to create a network for business people so that they could communicate ideas and strategies. A key concept lying at the foundation of the company was giving something back to the community. So there you have it, four most successful south african forex traders. So, if you’re wondering whether making money from Forex trading is actually a possibility, this article should have answered your question. 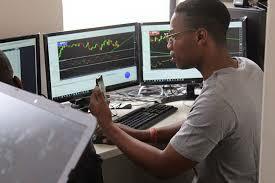 Nevertheless, this doesn’t mean that everyone can become the next south african forex millionaire like Sandile Shezi, as this is dependent on a wide range of factors and conditions. One thing is for sure, though – Forex trading offers a wide range of unique opportunities. As you can see, there are many young people that succeeded down this path, in spite of their humble beginnings. Anyway, almost everyone who is ambitious and has strong personality can possibly learn forex trading on his own and succeed. You don’t really need to give your hard earned money to pay someone who promises to teach you. There are no secrets in forex believe me. Only the most stubborn will succeed in the end.